The Circus is coming to town under a magical veil of mystery, magic and intrigue. This is a fantastic story that has been picked from the publisher that has wings and will easily soar into the heart of the reader through the emotionally charged energy that it holds. It is sensitively told; tackling some of the challenges of life and the sadness of dealing with hope and death. Micah's beloved grandfather is gravely sick and close to death. His elusive past brings a magical world of Circus Mirandus to his grandson (Micah) which is stunning and rich in detail. It will have you engrossed from the first to the very last page. The rights have already been sold to be made into a film, even before publication. This story should easily translate to the big screen in cinematic quality. 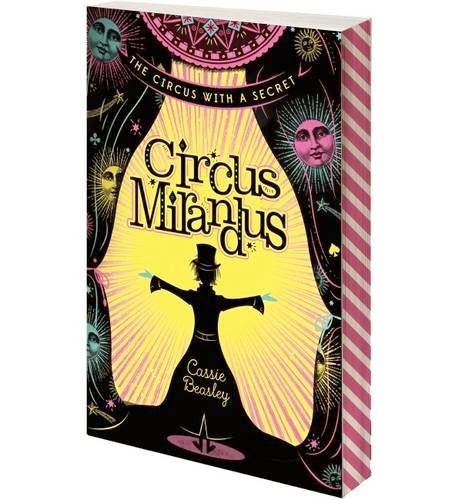 Micah and his best friend, Jenny, find themselves on an action journey to uncover the mystery and the truth about Circus Mirandus before it's too late. Does it really exist? Great-Aunt Gertrudis has arrived to take care of Grandpa Ephraim, but she is very bitter and has a personality which is harder than a bag of nails in a boxing ring. It makes you feel for the characters, but it also brings a greater sense of sadness which instills some reality into the fantasy world and poses many questions as to what might happen. Mr Lightbender is a great circus magician who can bend light and grant miracles. However, is he able to deliver these? This story is a stroll down the imaginative path with twists and turns to make you temporarily stumble. It's a timeless classic for the future. Fuelled with excitement, Micah has to navigate a balloon flight of madness, wrestle giant white tigers and meet an elephant who can do maths! The strangeness continues to unfold the more that you read on. This is such a thrilling debut voice, in my opinion, and is reminiscent to early Cornelia Funke books (also published by Chicken House). The narrative will appeal to the middle grade audience 9+ and both genders. This book is very funny and yet, only minutes later, it can then become rather sad. However this is the joy of reading such a clever book. A book that rejoices the power of seeing magic in the world through an illusion of hope right until the unexpected end. The eye-catching book cover is stunning. The spiral striped edges will help the book to be selected from the bookshelves and tempt all would-be readers, whatever the age. This is a recommended family read with a sequel that will be at the top of my list.